After the attacks on 9/11, Congress passed the Real ID Act to set security standards for state-issued driver’s licenses and ID cards. Beginning Oct. 1, 2020, residents will need a Real-ID compliant credential to fly commercially in the United States, as well as to access military bases and other secure federal facilities. 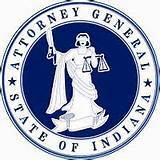 Everyone applying for a new Indiana driver’s license, learner’s permit or state identification card are required to obtain a Real ID-compliant credential. However, those who already have an Indiana credential may opt out of a Real ID. You can apply for a Real ID by visiting any BMV branch and bringing the required documentation to establish your identity, lawful status, social security number, Indiana residency and proof of a name change. Click here for a documentation checklist to ensure you have all the necessary paperwork, and visit RealID.in.gov to learn more. Customers with questions about collecting their documents can call the BMV toll-free at 888-692-6841 and speak with a customer service representative for help or visit any Indiana license branch for assistance.